[Pictures] Festival of Fantasy DEBUTS! 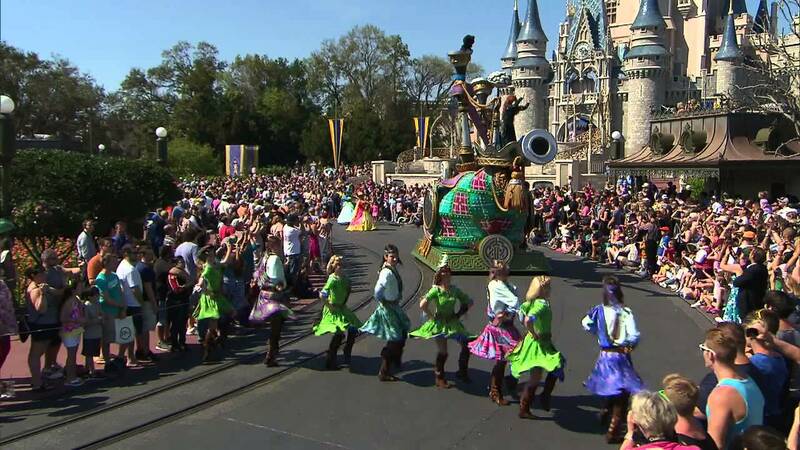 The Festival of Fantasy parade debuted today at the Magic Kingdom? Anyone have a review? Videos, photos? Last edited by Disney Analyst; 03-09-2014, 01:13 PM. Re: Festival of Fantasy DEBUTS! That was awesome! 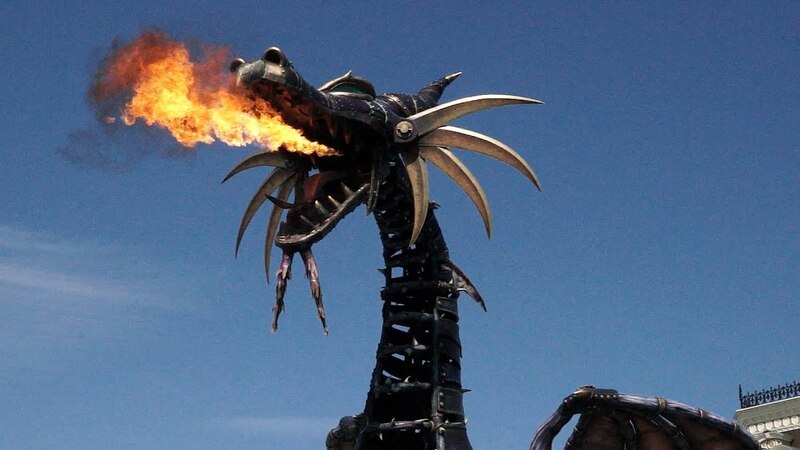 I LOVED the fire breathing Maleficent! 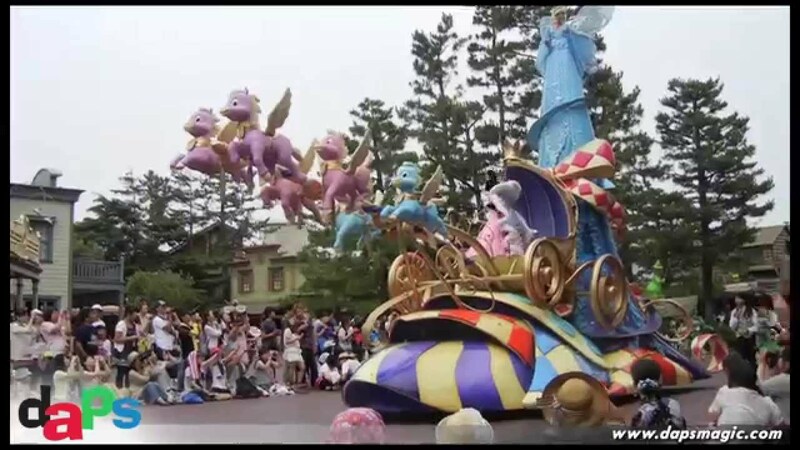 Just realised the first parade float, the princesses is recycled from TDL 25th Anniversary "Jubilation" Parade and also the Pinocchio float is from that parade too! HA...FINALLY, Magic Kingdom (WDW) is brought up to date with a proper daytime parade from WDI-CE. And overall...job VERY well done. And yes...the opening unit, and the finale unit are from TDL's Jubilation! (one of Steven Davison's finest pieces of work). That is one awesome parade. Something to definitely get excited about, as I have been wanting to return to the Magic Kingdom, and Disney World. Love the Dragon. Love it all. The best thing: No mirror castle float. It is gone at last! Only to return for one of those special limited time parades. I'm not sure how I feel about the dragon. I guess it's supposed to look steampunk? Where did that come from?? It ends up looking kinda rough, unfinished and too mechanical. Like a Disney version of Robosaurus. Yes! Man they'd been using that float in just about every parade since the Tencennial! Yes it's supposed to look Steampunk/mechanical. I love it myself, but then I'm kind of fascinated with the whole Steampunk movement. Last edited by TimmyTimmyTimmy; 03-11-2014, 08:20 AM. The new Dopey on Happy's shoulder costume is too cute. Perfect for dancing with Snow White. (Could be wrong about it being Happy). Great video. I was there opening day. - Loved it! The costumes & floats look even look better in person. The choreography is pretty intense for the performers. I would consider lining up more towards the beginning or first half of the parade, especially on those very hot, humid summer days. We were lined up in Liberty Square. I watched the Video by DIS and you could see the fatigue in the performers. The new music underneath the special themed music for each float is wonderful. I thought it could have been even more upbeat, bold and full to match the spectacle of the costumes, floats & choreography. My favorite musical arrangement in the parade went along with the Maleficent Dragon. They used the Tchaikovsky music to accompany the float and the music tells the story that is acted out by the dancers. I'd look around to see if people post where the special places are along the parade route where this float stops to act out the fight scene between Prince Phillip fights the vines. It was obvious that there is a new mechanical system for driving the floats. The floats just seem to glide across the parade route - it was totally cool. I'm looking forward to seeing the parade again next week! ORDDU: My sisters and I saw the new parade for the first time, today, while at the Magic Kingdom. We all loved it. ORWEN: I was only disappointed that Princess Aurora had been 'bumped' from her original position in the parade but have hopes she'll be added back at some point. ORDDU: I thought it was interesting that Aladdin, Jasmine and the Genie were nowhere to be found in the parade, since they're such popular characters. Most of the other popular characters were present at least. ORGOCH: Yer sure never gonna' see none of us from Black Cauldron in no Walt Dizzy Whirl parade! That's 'cause we's the black sheep a the Dizzy fam'ly!! !